If your workday wasn’t stressful enough, now you need to sit through rush hour traffic just to get home. The bumper-to-bumper madness is enough to make anyone scream, but if you let it get to you, you may be causing yourself unnecessary stress. 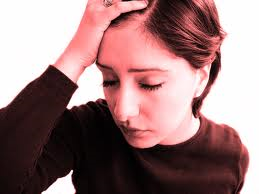 This stress can lead to health issues and/or a ticketable offense (i.e. road rage). It is clear that you need to learn how to stop the madness before it gets the best of you. You can start by changing your music. It doesn’t matter what your favorite style of music is if it is contributing to your stress. BBC News reports that, based on a survey of 2,000 drivers, if you are listening to pop or classical music you will be able to calm down easier as you drive. Rock and metal music has the opposite effect, as drivers listening to this type of music are more prone to get frustrated. So change the dial or have your favorite Enya CD handy for when the driving conditions get tough. Don’t worry, it’s only temporary. Then you can take a deep breath. There is something to be said for meditation, even while you are driving. It can relax your mind and your soul better than almost everything else out there. Of course, you can’t go into a full meditative state because you do still need to be able to drive defensively; however, you can take deep breaths in and deep breaths out to keep your nerves and heartbeat calm. Breathe in through your nose and out through your mouth as long as you need to until you feel calm enough to breath normally. Finally, just forget about it. You need to come to terms with the fact that there is nothing you can do about the conditions on the road. When you realize that it is out of your control, you may have an easier time not reacting adversely to it. If it helps, focus on the positive. For example, at least you are not the person in the car accident (if that’s the problem), and you are getting some extra alone time. No matter what, remember that the traffic is only temporary and you will be through it before you know it.